A Military Power of Attorney (POA) is an essential legal document for deployed service members. A Military Power of Attorney gives another person (typically a spouse, adult child, or other trusted family member or friend) the authority to act as a legal representative on your behalf. Unlike a standard POA, a Military POA will be recognized in every state, even if it does not meet a particular state’s POA requirements. What does a Military POA allow the agent to do? General – A general POA gives the agent authority to conduct a broad range of financial, business and legal affairs like those listed above. Special – A special POA, also known as a limited POA, is written to cover a specified situation during a certain time period, such as if your spouse needs to request base housing while you are away. You can also choose to have a Durable Health Care Power of Attorney which allows your appointed agent to make medical decisions for you if you are unable to make them yourself. POAs can be abused so you need to be certain that the person you choose as your agent is someone you completely trust. The POA must be signed by the principal. Depending on the state, the agent’s signature may also be required. 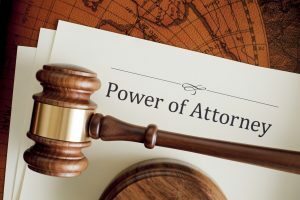 A Power of Attorney does not guarantee that a business, organization or financial institution will accept it. They are not legally required to. For more information about Military Powers of Attorney visit themilitarywallet.com. Please note that the information included in this article is a general rule for Power of Attorney and does not reflect Omni’s policy. Omni offers Loans for Military Spouses/Power of Attorney emergency loans. Please contact us if you need any additional information on our Power of Attorney policy.